Today President Trump announced that he was canceling US participation in the Joint Comprehensive Plan of Action (JPCOA) otherwise known as the Iran nuclear deal. The president’s assertions were ludicrous and factually incorrect, but the neocons who were no doubt behind the speech have never been all that wedded to the truth. 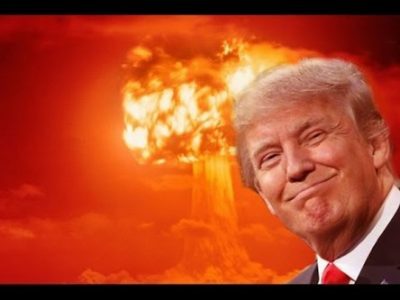 It became obvious fairly on that Trump’s rationale was not to be taken seriously, when he cited last week’s comical stage performance by Israeli prime minister Benjamin Netanyahu that “Iran Lied” about its nuclear program. Netanyahu’s fairy tale required us to believe that the Iranians were storing their most sensitive national security (paper) documents and compact discs in an unguarded desert hut, which the crack Israeli team of intelligence operatives were able to discover and remove by the truckload right under the noses of what they claim is among the most totalitarian “regimes” on earth. 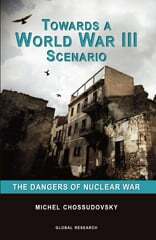 And even if one believes that fairy tale, one is required to suspend logic and reason and conclude that evidence that Iran was pursuing nuclear weapons technology but had halted the program by 2003 is actually proof that Iran is currently pursuing nuclear weapons capabilities — despite repeated inspections that have concluded otherwise. Really, it’s something a child could see through. Which is perhaps why the neocons were so successful at packaging it for Trump’s consumption. Likewise Trump’s claim that Iran is the world’s leading sponsor of terrorism…for among other things fighting actual terrorists (al-Qaeda and ISIS) in Syria at the invitation of the Syrian government! But all that aside, there is something potentially earth-shattering in what at first appears to be just bluster and blunder by President Trump. With neocons in charge of the words coming out of his mouth we should not believe it was an accident. he was signaling his official determination that Iran is one of the “associated forces” that is fair game for US bombs as outlined in the post-9/11 authorization for the use of military force. In short, Trump’s sentence indicates, in our convoluted and post-Constitutional current reality, that President Trump believes he has all the authority he needs to initiate an attack on Iran. Forget all the other speculation on Trump’s speech. This is the only thing to really focus on.